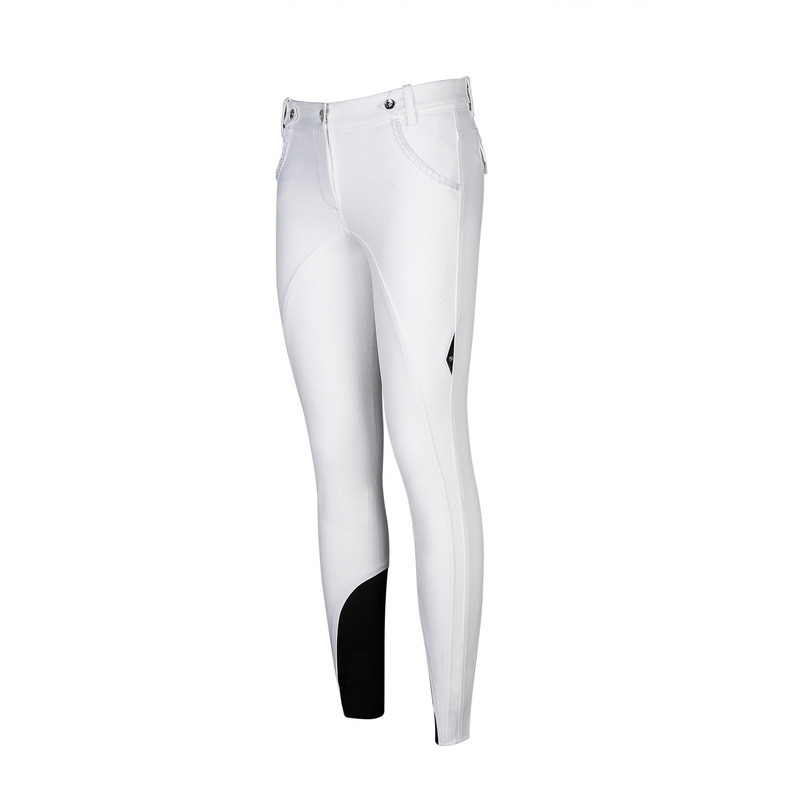 Ladies' breeches Makenna made of Schoeller material, which is highly waterproof. 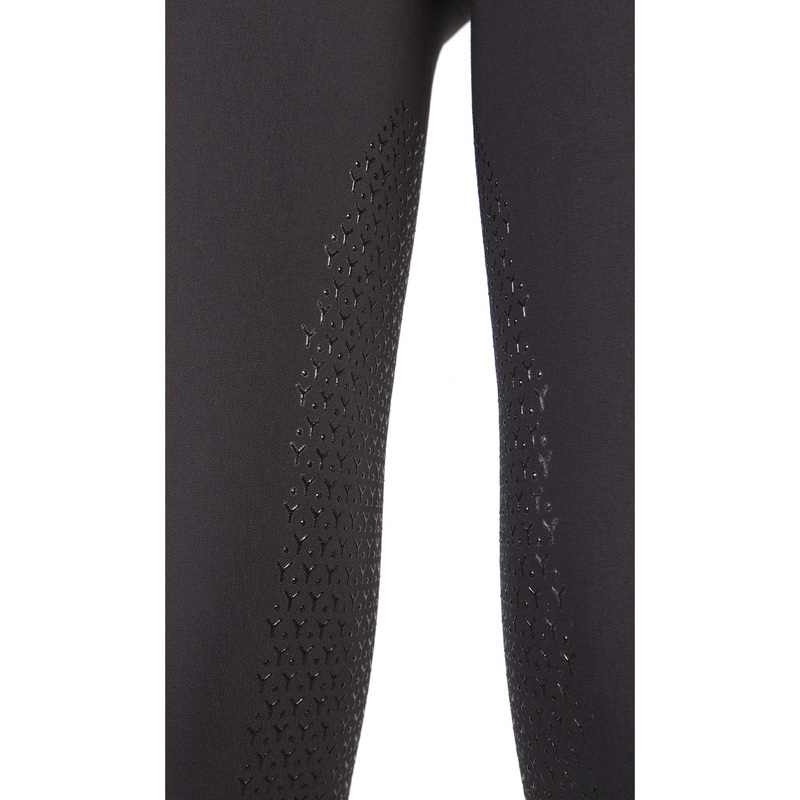 Their classic cut has a grip half covered with a non-slip grip, which provides better adhesion to the saddle. 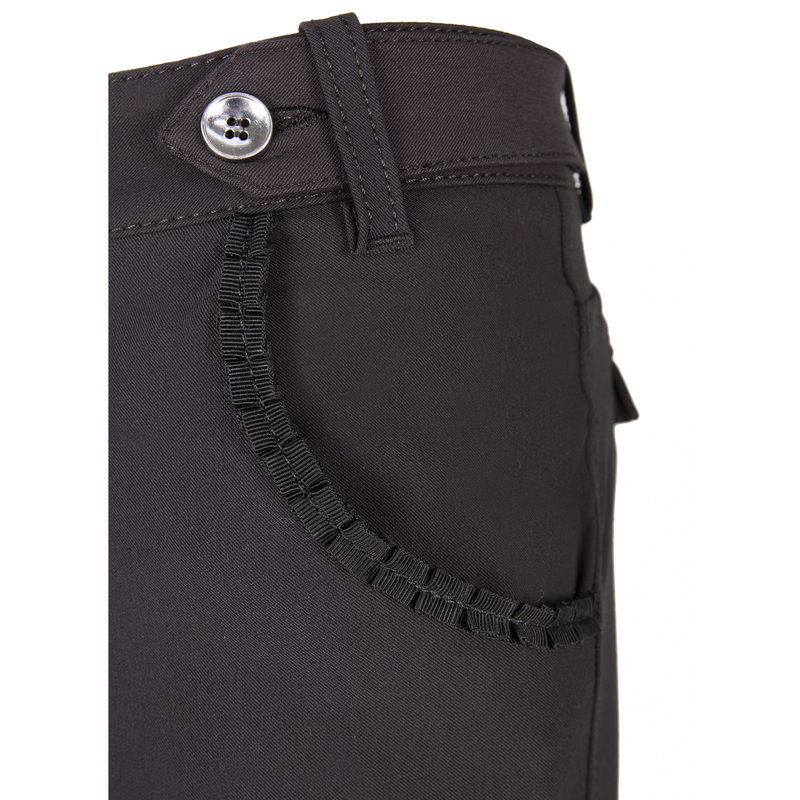 Edges of the front pockets are decorated with a delicate flounce in the same colour. 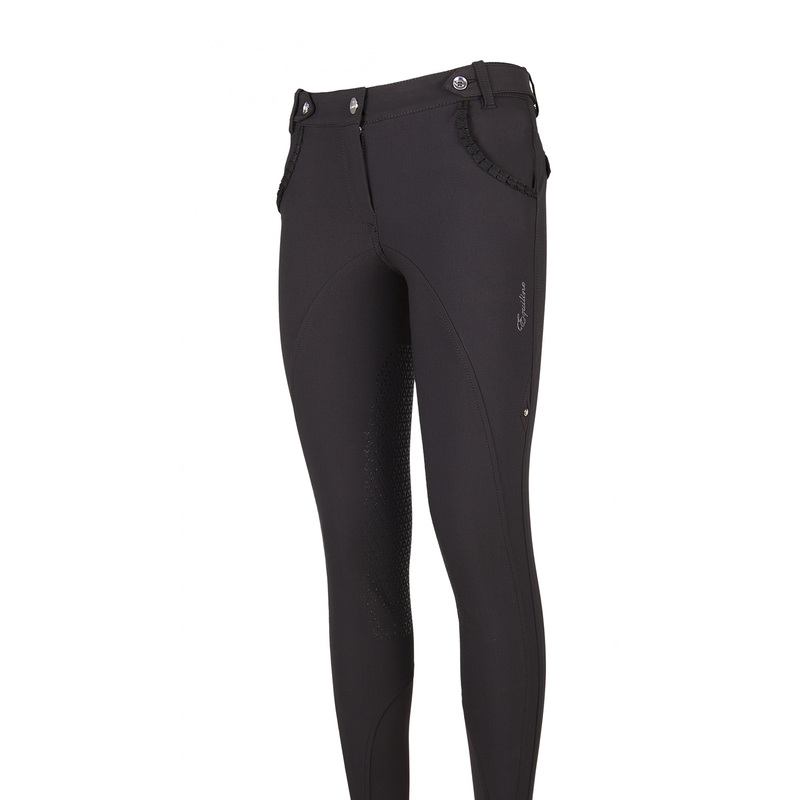 There is an insert of elastic material at the calf level, which provides perfect fit of the breeches. An Equiline writing in printed on the side of a thigh.